Travel apps come in handy both for a frequent traveller and for someone who likes to plan impromptu trips with friends and family members. Helping you pick the best hotels and book the cheapest flights, the travel apps are one of the efficient ways to manage your expense and keep everything intact in one place. We have today compiled a list of 10 best Android and iPhone friendly apps that are going to make your upcoming travel hassle and burden free in 2017. 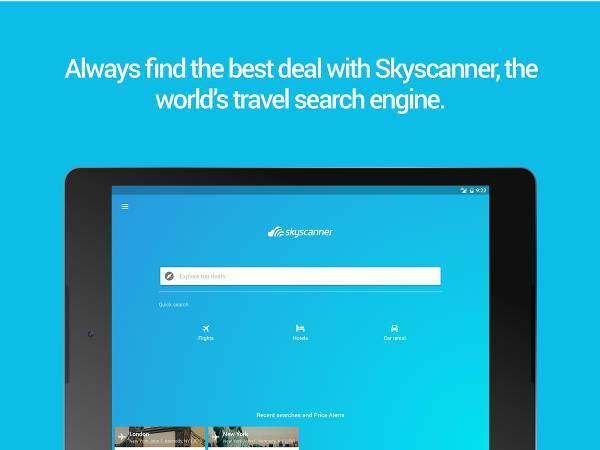 One of the most loved and popular apps Tripadvisor has over 200+ million reviews and opinions by travellers. The reviews help you decide on the location to stay and also find the best deals on restaurants, hotels and fun activities. This all in one travel app is helpful in searching the cheapest flights to any given destination and also find, hotels, cars all on one platform. The simple interface and clean design, lets you search, compare and finalise the arrangements that would be required during your stay. One of the other excellent options, Airbnb has over 2 million listings in more than 34000 cities. 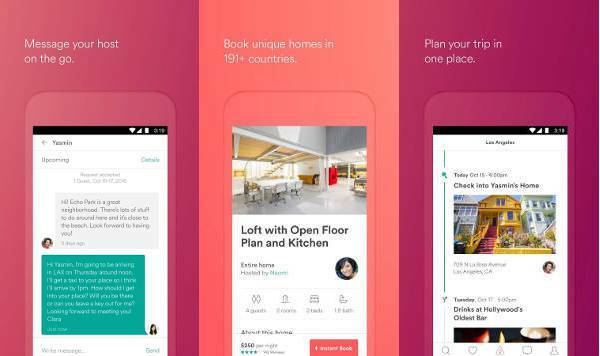 Airbnb offers its users with a number of interesting options to stay and also the facility to send a message to the host for getting directions to the listing. Airbnb is one of the most potent travel apps to accommodate last minute travel plans and requirements. The app in the Air can be explained as your personal flying assistant that keeps you up-to-date with your flight: real-time status, airport tips and in-airport navigation maps, flight profile with all your flights logged. The app connects with over 1000 airlines worldwide and all the majority of airports. 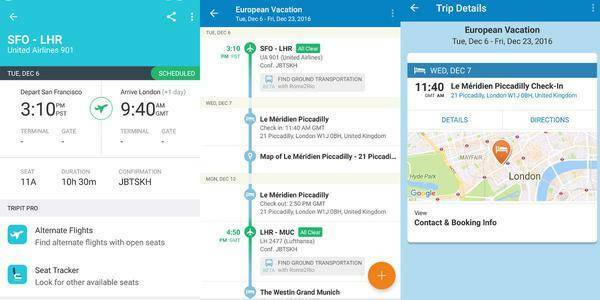 Tripit app collects travel information from various places and combines it all in one single place. You are just required to forward your hotel, flight, car rental, and restaurant confirmation emails to Tripit. The app does a fabulous job in organising all the scattered information and putting it together in a single frame. 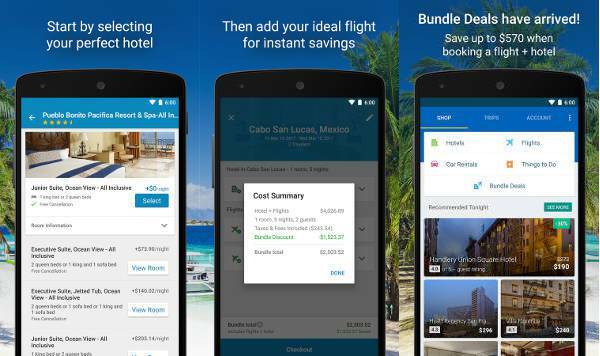 Again, an all in one app, the Expedia travel app along with booking flights, hotels, cars also provides many mobile exclusive deals and other coupons. You can use these coupons to book any travel related services. Expedia provides authentic reviews of hotels from verified users. You can also use this app to get the information on the directions and the upcoming deals. LoungeBuddy is the best travel app if you are looking for a good airport lounge to pass time between flights. The app doesn’t ask for a first class ticket or elite status to give you an instant access to the lounge, you can now purchase instant lounge access on your device with just a few taps on the phone. 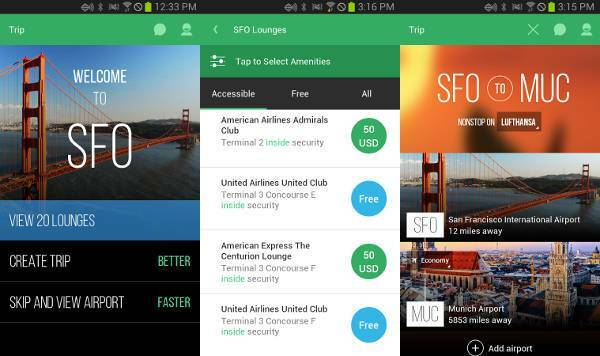 The app covers 900 of the busiest airports and over 2800 lounges around the world. 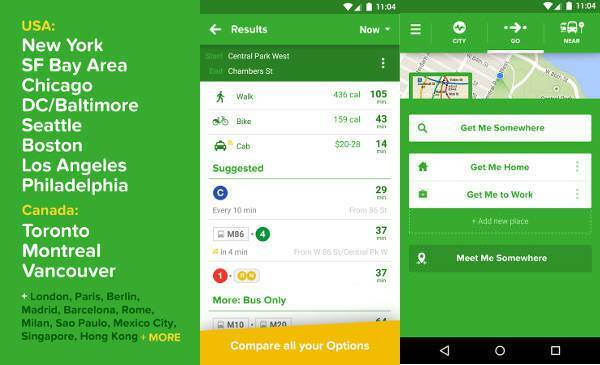 CityMapper is one of the ideal local travel apps to find the best route in the city traffic. The app allows you to find the best route for subway/metro, bus, train, Uber, rail, ferry, bike share & personal bike with cycle lanes. 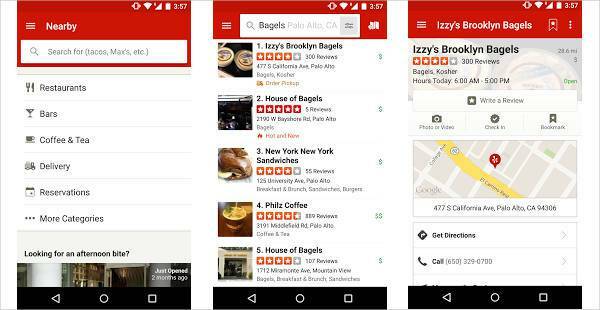 The app also provides alternative routes to high traffic routes and you can even save frequently used locations. 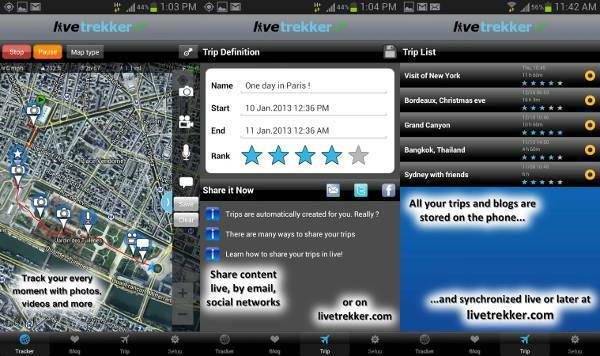 LiveTrekker allows the travellers to put together all the experiences in one travel app. 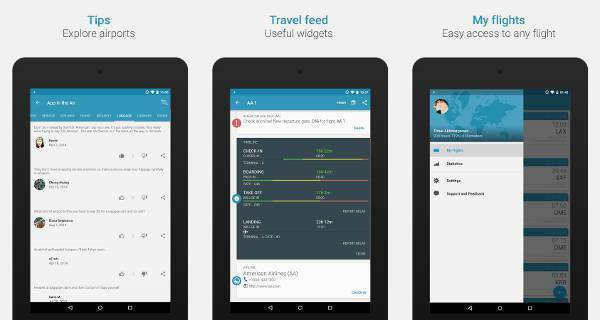 The app is like a travel scrapbook that you can update with just a few simple clicks. The GPS tracking will trace the path you take so you can see the actual map of the place where you went. Best suited for international travellers, Google Translate will always ensure that you never in the coming future get lost in translation. 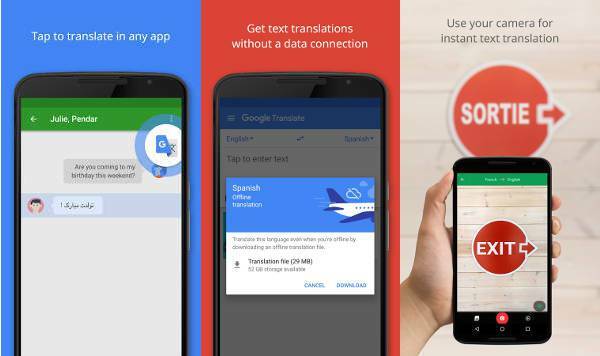 Google Translate allows the users to translate short sentences from one language to another and even listen as it translates a live conversation. Download and install the best-suited application and be travel ready for the coming year.